This morning I thought I'd give you a little laugh to start your week off. 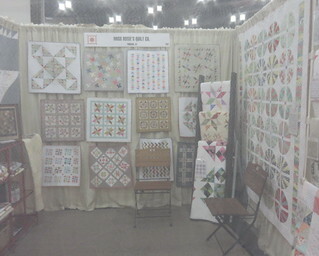 Normally after quilt market I have tons of people pictures and nothing else, this time I have tons of booth pictures and no people! What the heck? I don't know how it happened honestly, but I'm going with it. 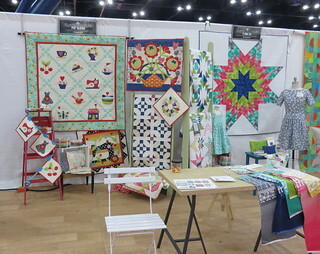 If you're sick of quilt market pictures, time to click the back button, but if you're good for a few more, what the heck, keep on scrolling. One of the things I read on instagram during quilt market was about how instagrammers were unfollowing people who were posting quilt market pictures because they were getting 'spammed' with pictures. Yikes! I can see how it would happen if you follow a lot of people who attend. I saw a lot of the same photos in my feed too, but it's an exciting time for shops to talk about all the stuff they're seeing and ordering for their stores, and an exciting time for vendors to talk about all their new stuff... so we're in a Catch 22 situation. I'm sure there's nothing I'm going to show you that you didn't already see I bet, since I'm so late to this party. 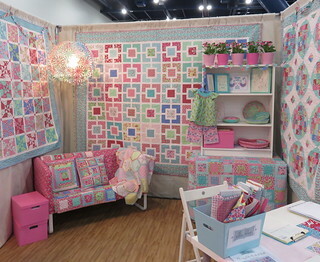 Here's Rosalie's booth. So cheerful. I love her style and really she couldn't be a sweeter person. Her colors are happy and she's got a delightful mix of patchwork and embroidery. Here's Emma Jean Jansen's booth. My bigger photo was a bit blurry but I had loved this little table with all the treasures on it, and I particularly loved the quilt in the background. I haven't met Emma Jean, but I follow her on instagram.. so I am familiar with her work. Here's Lori's spot over at Riley Blake. 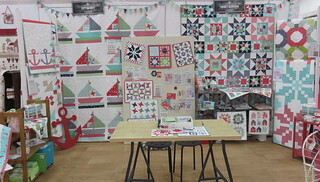 I've been watching her make these quilts but I just didn't appreciate how big those blocks were! They're super fun, and those tulips! I just love tulips. And of course all the bees are adorable. I never got back to Carrie's booth once the show was open, although I saw Carrie quite a few times. Really you couldn't meet a nicer person. It was great to talk to her about her exciting changes, so if you haven't heard you should click over to her blog and read about it. Anyway, I cracked myself up taking a picture through the tulle closing up her booth. 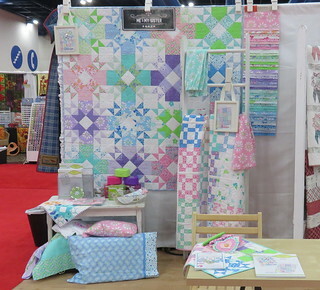 I was super happy to see Bonnie back at quilt market this year. If you've seen Kimberly's video of her favorite finds you'll see that Bonnie was named Homecoming Queen of this years market! Of course right next to her is Camille's booth. Camille has great style don't you think? 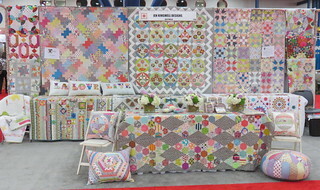 I love her quilts and holy cow that Norway quilt is wonderful right? I was very happy to see Brenda's new line, Ambleside in real life . 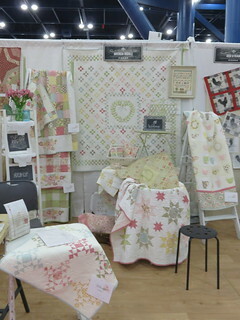 All her projects are sweet and romantic in Brenda's style as you'd expect.. the fabric is lovely. Totally bummed I didn't see Jen Kingwell at market. I did get a chance to visit her booth though before the show opened. OMG people. O. M. G. I know everyone knew Jen forever but the first time I saw her quilts was in Salt Lake City and it was the Green Tea and Sweet Bean quilt that just about knocked me over I loved it so much. I didn't meet Jen till the next show but by then I was a devoted follow. Saw Joanna just for a quick minute too, sad that we have to meet up in completely different states considering we live about 25 minutes from each other! 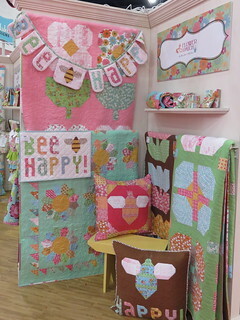 Her corner of the Moda aisle was busy and cheerful just as you'd expect, love her new Aloha projects. PAT SLOAN! Everyone knows Pat. She's everywhere and just a delightful in person as you'd imagine. I did get a chance to talk to Pat for a bit with our friend Roseann! 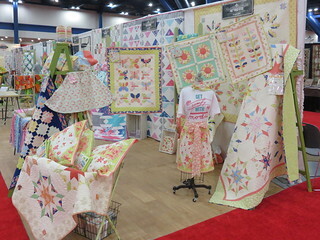 I love her quilts here in her booth, that big basket of flowers!!! I love the folk arty look of it and the bright fresh colors. I'm really going to try and not gush and embarrass myself over Minnick and Simpson. 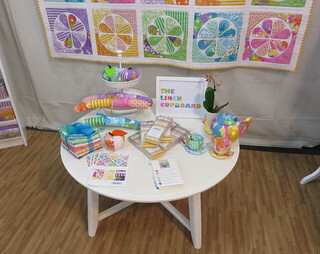 Quilts and hooked rugs. Two things I love. 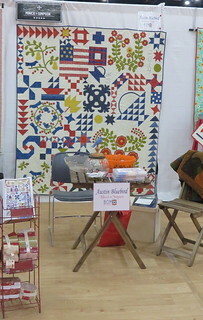 That Austin Bluebird quilt is wonderful. As is everything they make. That's all I'm going to say, I've already typed and erased a bunch of gushing fan girl stuff that is a little embarrassing, probably for all of us. Me and My Sister. Love their bright cheerful style both in fabric and in personality. If I was as cool as them I'd have photoshopped up a magazine called "Quilt Beat" kind of the way of Tiger Beat and had smeared their faces along with Laurie and Polly's all over, so you see it's just better this way! They're so clever, honestly, just watch this video. I could watch it maybe another 20 times. Katy Jones! Honestly what CAN'T Katy Jones do? 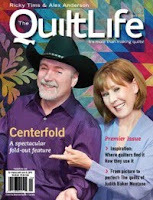 Author, Magazine Editor, quilt television personality and now fabric designer! I love how her booth came together! And last but most assuredly not least, Bari J! 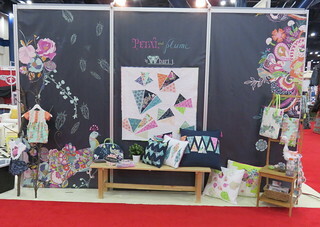 She had the nice big wall to showcase her new line Petal and Plume, and all her fabulous projects and painting! 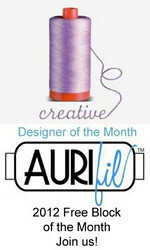 I don't even know where to start, pattern designer, fabric designer, painter, author.. head over to her website if you don't already follow her. I wish my picture of the Stitches of Love booth turned out. They have so many cute patterns, and they were so nice. 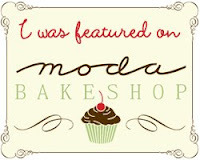 Hop on over to their website to check it out. 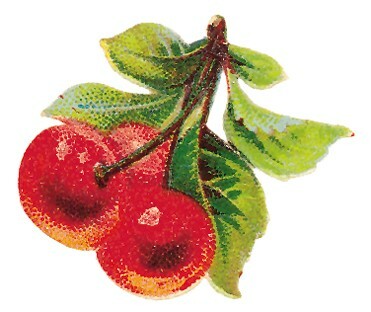 I had a great time at market, busy but fun. Its so inspiring to be there seeing everyone's hard work on display. I've been so lucky to make so many great friends. If only I could get all the pictures! It was fun showing people all the new Sunrise Studio prints and Fog City Kitty. 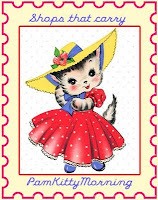 I'm glad to be home actually sewing on Pam Kitty Garden. 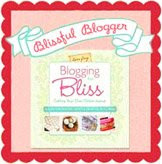 I'm working on some projects for upcoming blog hops for some new sensational books.. so stay tuned for that. Looks like such a fun show...wish I could have been there! Thanks for all the great pics PKM -- you definitely had some booths that I hadn't seen. It's so fun to see what everyone focuses on because it usually reflects their own style too! Really love the pics. Jen's stuff is amazeballs. I love you posts and am surprised that people were complaining about too many pictures. I hope it wasn't a case of sour grapes. You work so hard showcasing not only your fabric, but LakeHouse and then your friends. You're generous and that's why everyone loves you. Now I sound like a fan-girl. I did the same thing this year...lots of booth photos...fewer people...maybe that is good...maybe that means everyone was busy...which is good, right! Loved this look at market, its fun to see all the people but I liked this view of their work! 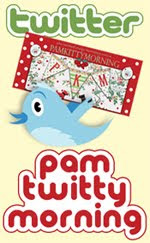 Have a great week Have a great week Pam. 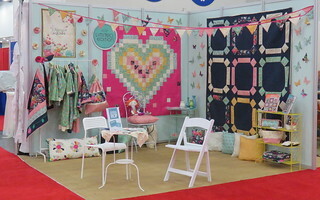 You gave the BEST overview of quilt market!